When individuals from differing cultural backgrounds interact, there is often miscommunication, misunderstanding, and frustration. These obstacles can be overcome by making all parties more culturally sensitive. It is important for people to recognize how cultural backgrounds affect individual perceptions and actions; and how cultural awareness can improve the relationship between people from differing cultural backgrounds. 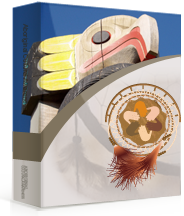 Aboriginal Cultural Awareness - Haida is designed to provide non-Aboriginal participants with a greater understanding of the issues and challenges facing Aboriginal people in Canada. The first four units of the program introduce the groups that make up Canada�s Aboriginal population, examine Canadian history from an Aboriginal perspective and explore the ways in which historical injustices have impacted on Aboriginal culture. Unit five looks at the specific history of Canada�s Haida. This course is designed for all levels of management and employees who work with, or will be working with Aboriginal clients, customers and/or co workers. It is also for individuals who wish to have a better general understanding of Aboriginal culture, with a specific focus on The Haida. Ultimately, the goal of Aboriginal Cultural Awareness - Haida is to help non-Aboriginals work with Aboriginals in ways that convey respect for Aboriginal culture and understanding of the issues that are important to Aboriginal people. At the end of each unit, there is a test that each course participant must successfully complete before continuing on to the next unit. The course is self paced so course duration will depend on the individual participant and their prior knowledge base with the course subject matter. Each unit of Aboriginal Cultural Awareness - Haida on average will take 45 minutes to 1 hour to complete. In total, it is expected that a participant could complete the course in 4 - 5 hours. Upon successfully completing all units, there is a printable certificate for your records. http://aboriginalawareness.ca is available 24/7, with online technical support available.